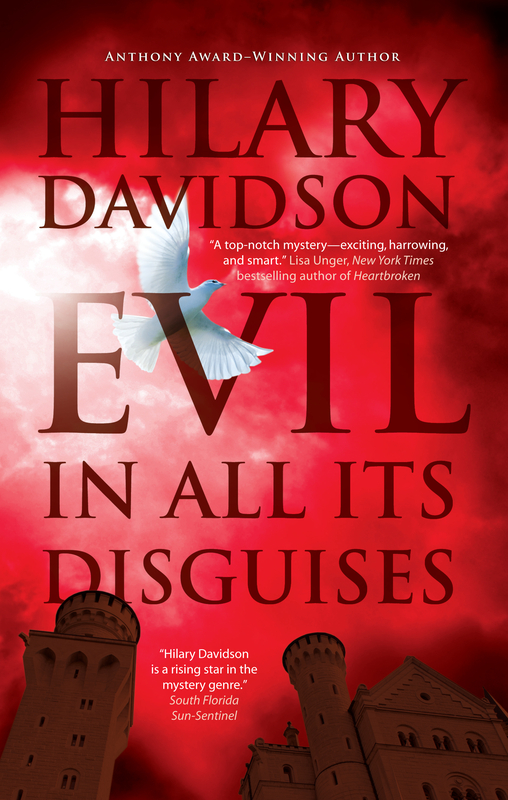 If I were writing a one-word review of Hilary Davidson’s Evil in All Its Disguises, released March 5, that word would be: incongruous. And it would be a massive compliment. In this subtle crime novel, the third in the Lily Moore series, Davidson drops us in an Escher-like room of distorted realities. Everything looks normal, just slightly askew, and it’s these atmospheric incongruities that make Evil such an enjoyable read. For series initiates, such as myself, Lily Moore is a travel writer with a checkered past: a mentally unstable family history; a deceased, junkie sister; a quasi-gangster business tycoon ex who will do anything to get her back. This is the baggage she takes with her to Acapulco to review the once-glamorous Hotel Cerón. It’s nothing unusual: just another press junket with a circle of travel writers, and a PR flak, she’s known for years. Yet, when she arrives at the hotel, Moore is surprised to find it in disrepair, and disturbed to learn that one of her closest friends on the trip, Skye, is in over her head on an investigative piece. During their brief and baffling conversation, Skye expresses concern for her safety, and then steps away to take a call. And so the unraveling begins. Skye doesn’t return from that phone call, and nobody at the isolated resort seems concerned. Through her exploration, Lily learns that the hotel is a recent acquisition by her ex’s company, manned by his henchman, Gavin, and before long she realizes she’s been lured to the Hotel Cerón under false and deadly pretenses. But as with a travel review, the pros must be weighed against the cons. Evil suffers from an overload of plot twists. The phrase “trust no one” certainly applies. This isn’t all bad, as the finer twists reveal character complexity (and that delicious incongruity). But as the plot turns pile up, they begin to lose credibility. Evil diverges from the transgressive and brutal horror literature usually reviewed in this space. There’s a cozy quality to the story that is actually kind of refreshing. The book kept me up at night not because it was disturbing, but because it was engaging. I predict big things for this book, and I’m sure it will earn a deserved place on the best-seller list.